Lately, Suss Müsik has been exploring a number of odd combinations in our compositions. The latest transgression in our musical roadmap can only be described as “what would happen if Brian Eno collaborated with Black Sabbath while recording My Life in the Bush of Ghosts.” That should give you some idea of what this monstrosity sounds like. Another way to describe the piece is that it’s rough, sloppy, loud and mechanical. We really like it, of course. The new piece obviously needs to go through a gestation period; however, this might be what Decatenation needs before its delayed release sees the light of day. Suss Müsik has concatenated an insane 24-minute piece for organ, sax, vibes, percussion, piano, e-bow guitar, little sticks, alarm clocks & sofa cushions called Beausociality. It’s been appended as a bonus track to the as-promised re-release of Eclipsa, which will be available as a free download until Bandcamp credits expire. It was a full moon last night. Those who work in police and emergency medical services anecdotally claim that the full moon results in busier work shifts. This perception may be rooted more in personal psychology than statistical reality, yet common knowledge insists that crisis severity is accentuated by 30-day extremes in the lunar cycle. It’s human nature. Things have been a little crazy of late on the world stage, much like a ball of yarn unraveling to its core. Those who are paid to interpret what is happening tend to blur the distinction between fact and opinion; those who make important decisions do so under a miasma of verbiage intended to confuse, rather than explain. In our attempts to deconstruct what has been said, we apply a layer of bias to confirm intentions that may or may not exist. It’s human nature. Suss Müsik has created a 50-minute piece that operates as both distraction and sedation. Instruments are buried under a thin veil of amplifier noise, creating a restful calm despite the unrelenting dissonance. The piece is titled Eclipsa, which means “obfuscate” in the Catalan language of eastern Spain, and is available as a free download on SoundCloud or BandCamp. 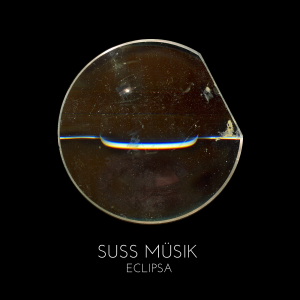 Update 01/16/17: Due to the album’s popularity on Bandcamp, Suss Müsik has exceeded our monthly allocation of free download credits. We’ve set a low price of $2 USD until our credits refresh on 02/15/17, at which point we’ll again offer the album as a free download for one month or until credits run out. Suss Müsik sincerely thanks everyone for their continued interest in what we do — hope you enjoy it.